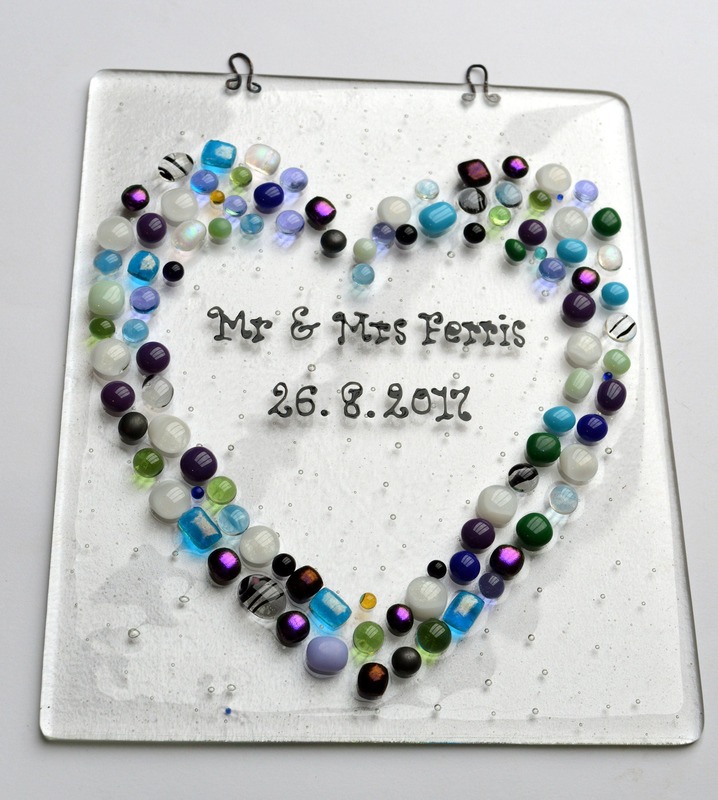 Made to order - personalised fused glass wall hanging. Measuring approx. 20cm x 25cm with copper loops for hanging. 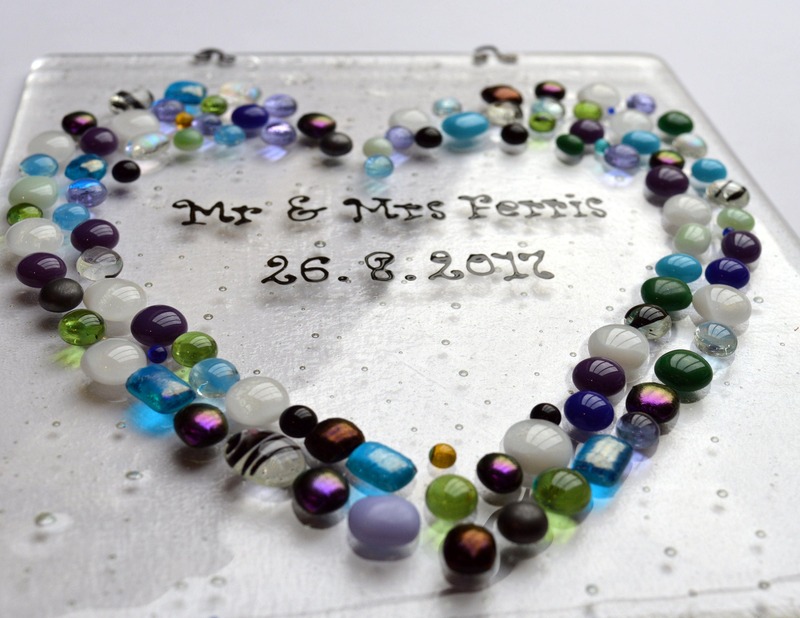 The heart is made of different coloured glass pebbles with a few sparkly ones added for hi-lights. 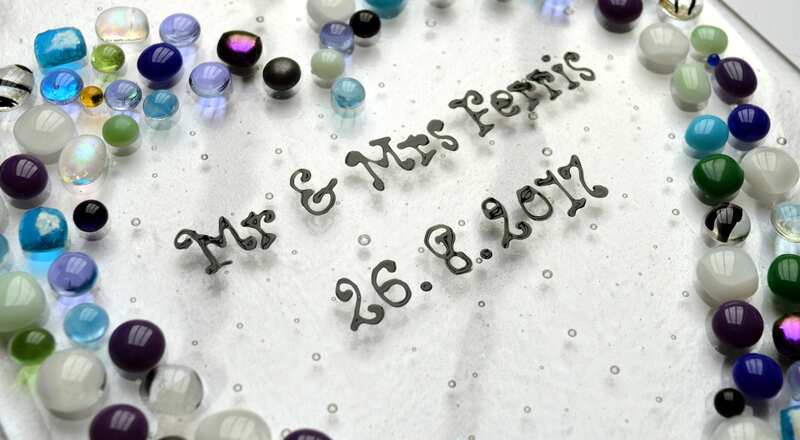 I will do my best to accommodate colour requests and wording, please email me your requirements. 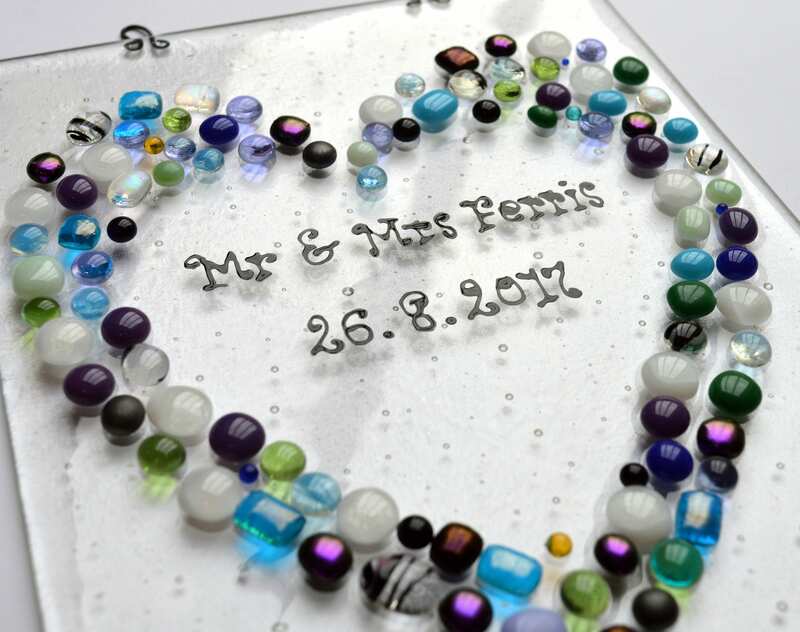 Perfect for any commemorative occasion - wedding, anniversary, engagement or possible a special memorial keepsake. May take up to 2 weeks to despatch depending on workload.